The house, rehabilitated all of it maintaining the traditional materials of construction in stone and wood, has two heights, ground floor and attic that occupies half of the surface of the first floor. 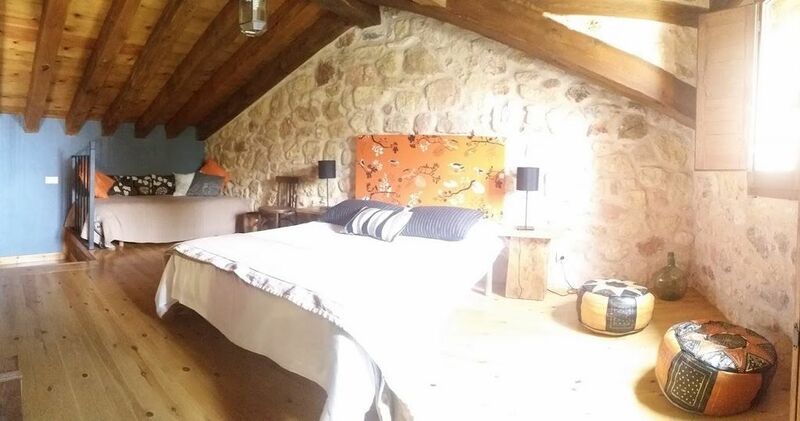 This house has 2 places in a double room and a beautiful loft with a double bed and another single bed. It has a bathroom. It has a washing machine, microwave, fridge freezer and enough kitchenware, TV, DVD, fireplace table games, underfloor heating. It is a rustic house, spacious and functional, ideal for couples with children. In addition, its access from the common porch has a direct access to the street. If you are traveling with children, ask us, we will leave you with material to carry out activities with the little ones.